Ford Explorer Stripes, Vinyl Graphics, Hood Decals, and Body Striping Kits. The Ford Explorer is the SUV original and still an important contender, with a premium exterior that is ready for a vinyl graphic upgrade. 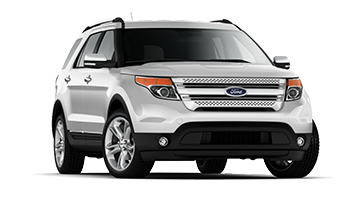 Below you'll find a wide variety of Ford Explorer vinyl graphics for the model years indicated. Featured here you will find the Ford Explorer : Dual Body Line Vinyl Stripe Kit Vinyl Graphics, Striping, and Decals by Custom Auto Designs, the Ford Explorer : Mudslinger Center Hood Vinyl Stripe Kit Vinyl Graphics, Striping, and Decals by Custom Auto Designs, the Ford Explorer : Mudslinger Vinyl Stripe Kit Vinyl Graphics, Striping, and Decals by Custom Auto Designs, the Ford Explorer : Solid Center Hood Vinyl Stripe Kit Vinyl Graphics, Striping, and Decals by Custom Auto Designs, the Ford Explorer : Taper Rocker Stripe Vinyl Stripe Kit Vinyl Graphics, Striping, and Decals by Custom Auto Designs, and so much more! Choose one of these popular vinyl decal styles today!